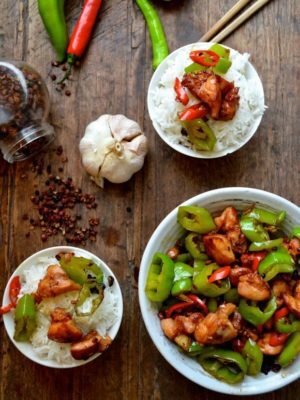 I can’t believe it’s taken me this long to post a recipe for Kung Pao Chicken. It was just one of those everyday recipes that fell through the cracks, I guess. Hope you won’t make the same mistake…especially after you finish reading this post! 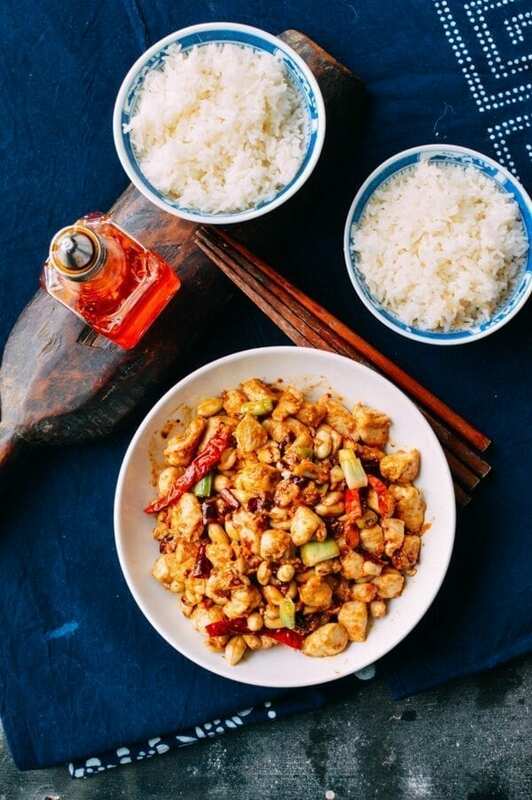 Kung pao chicken is one of those dishes that exists both in the traditional Chinese repertoire and Americanized takeout menus alike. 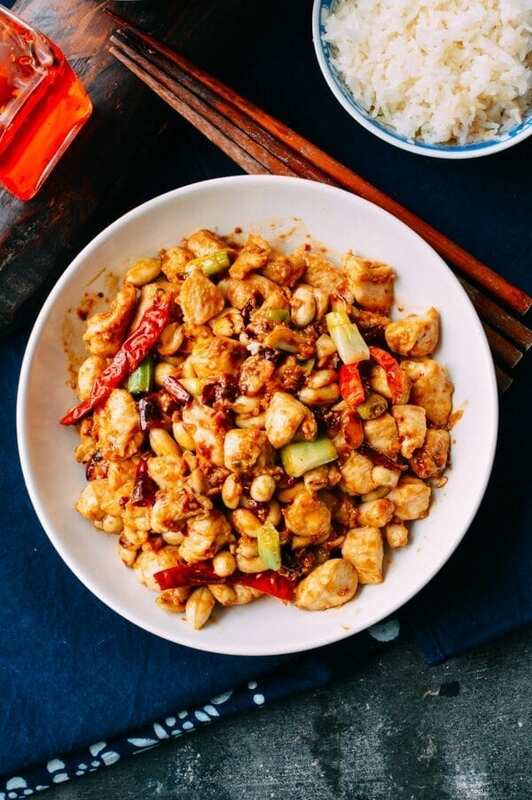 When we lived in Beijing, I was actually surprised to see how popular Kung Pao Chicken was among restaurant goers. 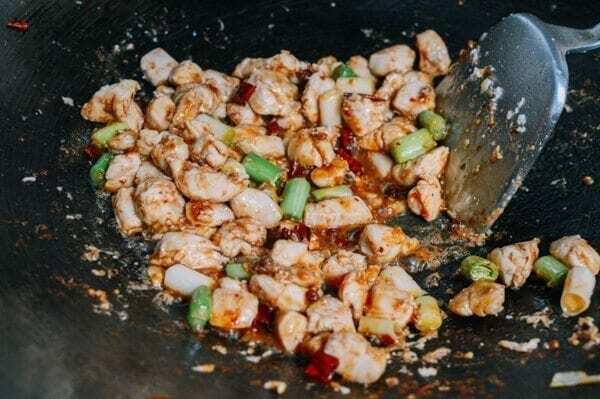 At certain restaurants that featured family-style cooking, I’d often see kung pao chicken on one out of every three tables. Chopsticks would work hard to grab at the small bite-sized pieces. 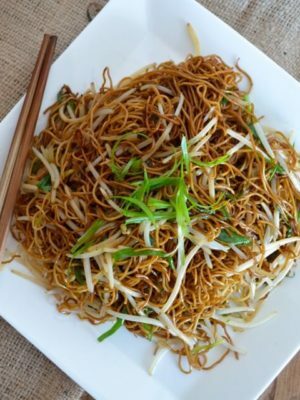 And trust me, when the dish was “hot-off-the-wok” good, those chopsticks were moving faster. 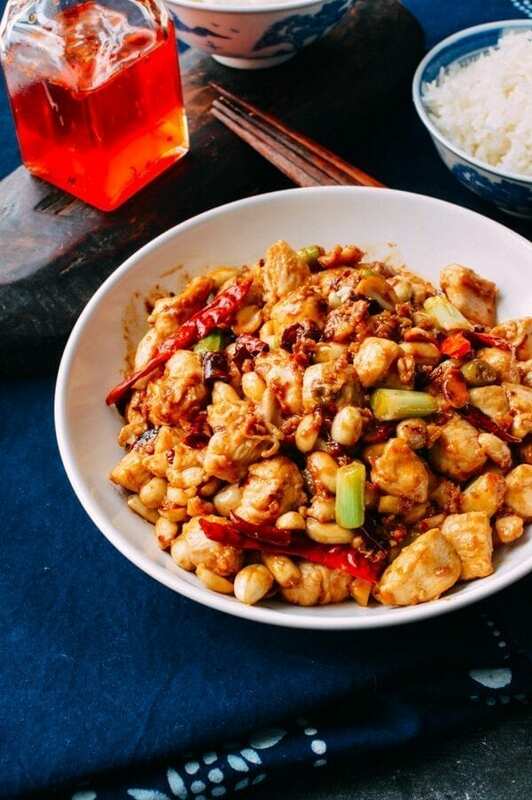 There are good reasons why everyone loves kung pao chicken. 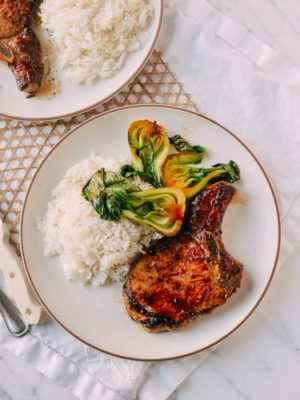 It’s got so many flavors going on: tangy, sweet, and salty with a hint of heat. The art is putting in the right amount of each ingredient to come up with that winning flavor combination. 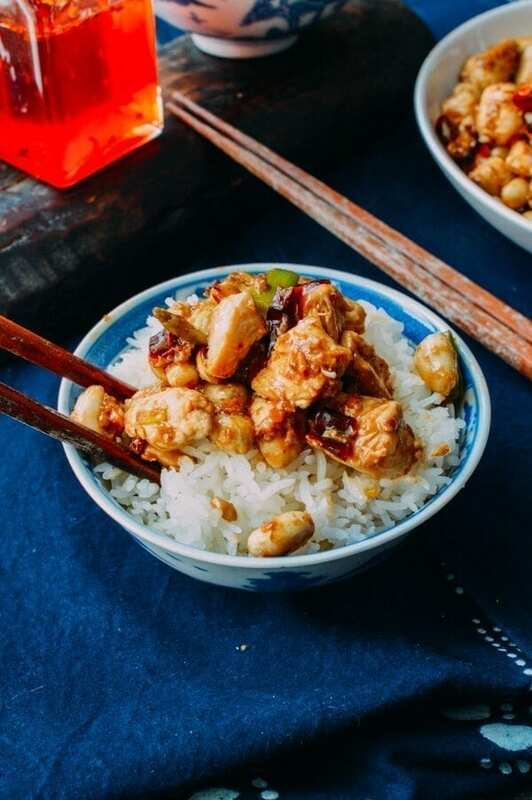 It’s actually a relatively easy dish to make at home, and my goal was to make a restaurant-quality kung pao chicken recipe. Let’s see if I succeeded. 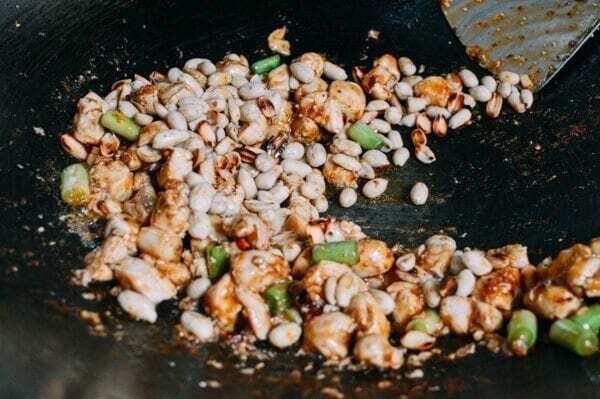 Heat the oil in a wok over medium heat and add the peanuts. Stir constantly (or they’ll burn) for 3 minutes. Turn off the heat and stir for another minute using the residual heat in the wok. Set aside to cool. They will turn crunchy once they’re cooled completely. 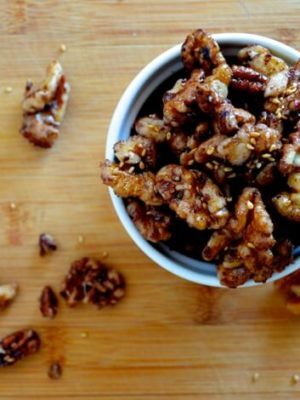 Alternatively, you could skip this step and simply use shelled skinless roasted peanuts! 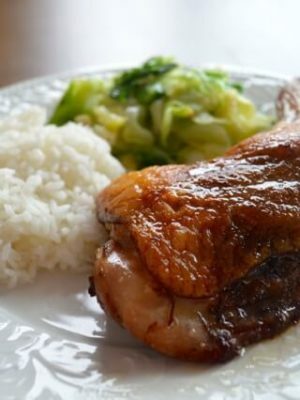 Combine all the ingredients in a bowl and set aside to marinate for 20 minutes. 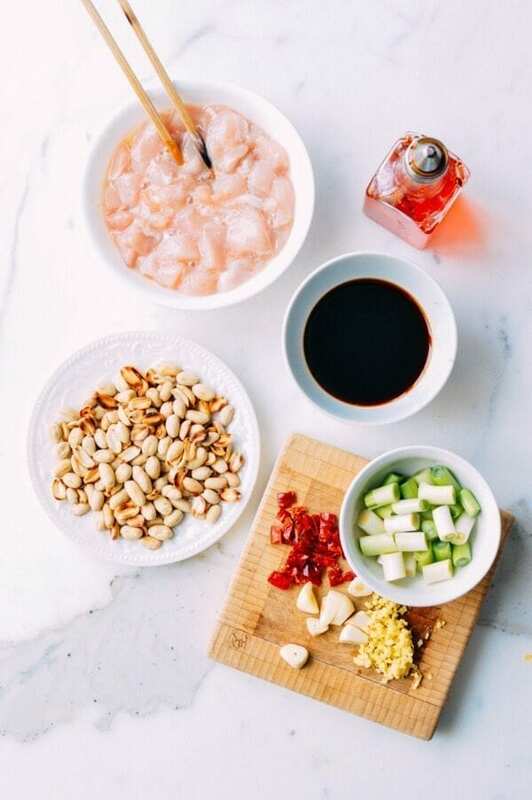 Mix together all the ingredients in a medium bowl and set aside. Heat 2 tablespoons oil in a wok over high heat. Sear the chicken, remove from the wok to a bowl, and set aside. Turn the heat to low and add another tablespoon oil. Add the garlic, ginger, chilies, and Sichuan peppercorns. 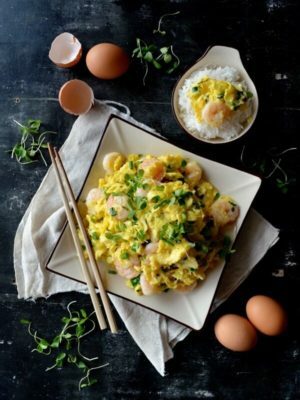 Cook for a minute or two until fragrant. Add the chicken back to the pan, along with the scallions. Turn up the heat to high and stir-fry for a minute. Then use your finger to stir up your prepared sauce (the cornstarch will have settled to the bottom, so make sure it’s well incorporated). Add the sauce to the wok and stir-fry for another minute. The sauce should thicken very quickly. Finally, add the peanuts. Give everything a final stir and serve. For a twist on this Kung Pao Chicken recipe, try our oven fried Kung Pao wings! 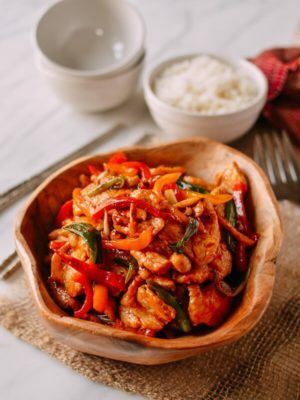 Kung pao chicken exists both in the traditional Chinese repertoire and Americanized takeout menus alike. 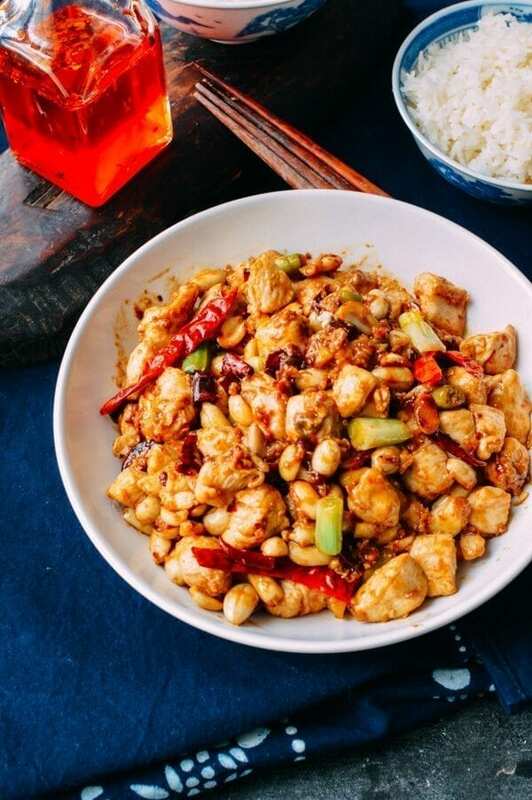 Our kung pao chicken recipe is more traditional. Step 1: Roast the peanuts. Heat 1 teaspoon oil in a wok over medium heat and add the peanuts. Stir constantly (or they’ll burn) for 3 minutes. Turn off the heat and stir for another minute using the residual heat in the wok. Set aside to cool. 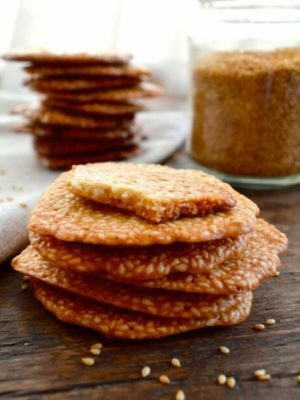 They will turn crunchy once they’re cooled completely. Alternatively, you can use already roasted shelled peanuts and skip this step. Step 2: Marinate the chicken. 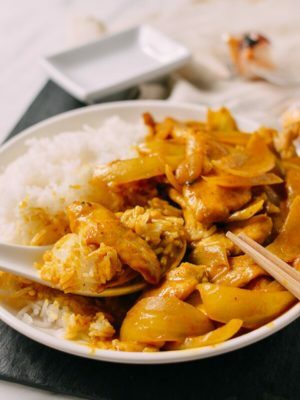 Mix together the chicken with all the marinade ingredients in a medium bowl and set aside for 20 minutes. Step 3: Prepare the sauce. 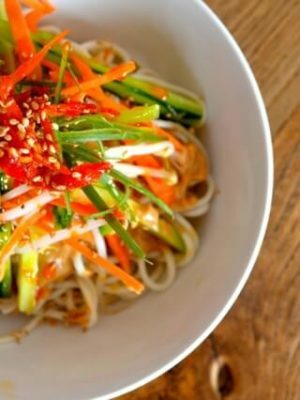 Mix together all the sauce ingredients in a medium bowl and set aside. Step 4: Cook the dish! Heat 2 tablespoons oil in a wok over high heat. 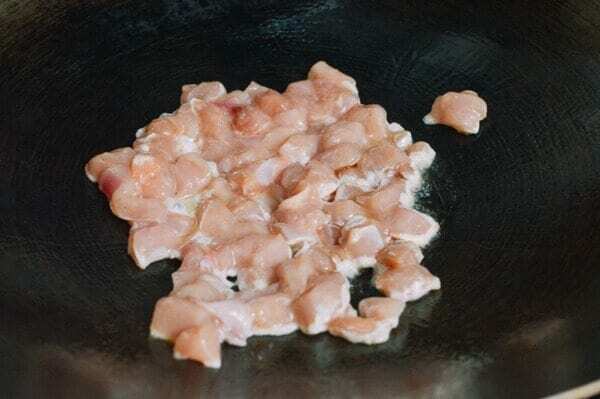 Sear the chicken, remove from the wok to a bowl, and set aside. Add the chicken back to the pan along with the scallion and turn up the heat to high. 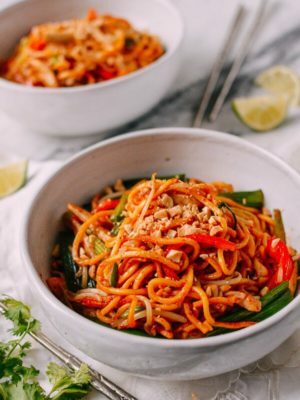 Stir-fry for a minute and then use your finger to stir up your prepared sauce (the cornstarch will have settled to the bottom, so make sure it’s well incorporated). Add the sauce to the wok and stir-fry for another minute. The sauce should thicken very quickly. Finally, add the peanuts. Give everything a final stir and serve. LOVE your site! 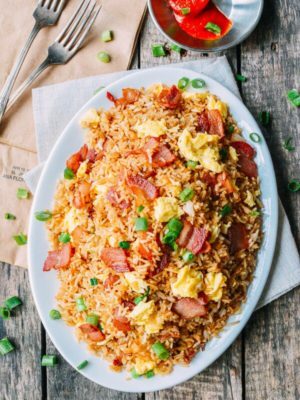 I credit TWOL with really getting me into Chinese cooking! Do you add the peppercorns in whole? Doesn’t that make it gritty? Thank you so much for your kind words, Doug. 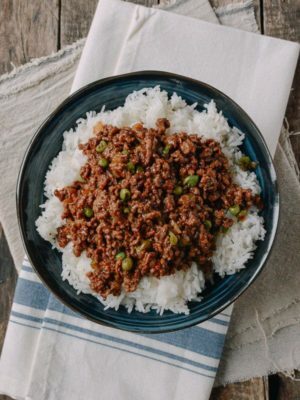 I don’t mind the whole Sichuan peppercorns, but you can use ground Sichuan Peppercorn powder. this evening I made Kung Pao and I followed the Fuchsia Dunlop recipe which is very much alike yours. But she recommends 1 teaspoon of Sichuan peppercorns and at least 10 Sichuan dried chillies (I guess the Heaven Facing chillies). whole chillies or will it be hotter hotter when I cut them in halves and remove the seeds and the ugly top and then add the chillies ?? Hi Jan, the whole dried chilies are the hottest when you cut them open and add them to the dish with the seeds. 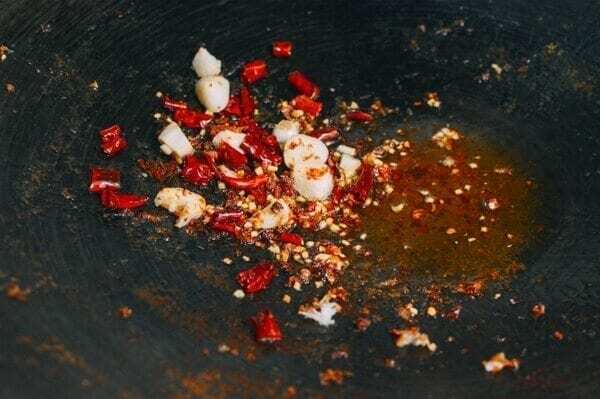 There is another truth about dried chilies––the longer you cook them, the hotter the dish gets. Made this last evening and it is WONDERFUL. Very satisfying. The only thing I did differently was add more chilies…next time I will go even more spicy, but one doesn’t want to overdo it on the first try. 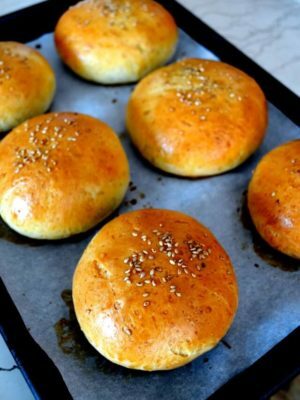 Such a simple recipe for such deep authentic taste. Glad I made it and so is my family! We are glad too, Jamesie!